A high quality reverse osmosis system commercial water filter system will consistently produce water that is as good as or better than bottled water, and is more economical. A reverse osmosis commercial water filter system is designed to remove contaminants and dissolved solids. By purifying the water, the taste is not only improved, but equipment, such as dishwashers, water heaters, and boilers are protected. Not only will your customers and employees enjoy pure water, but you will save money, as well. A variety of Peoria area businesses can benefit from a commercial water filter system, such as: manufacturing, wineries, coffee shops, cafes, and restaurants. Businesses that need spot-free rinse capabilities from car washes to restaurants and also benefit. Our commercial water filtration equipment provides high water flow rates, while still maintaining the highest quality of water output that your business demands. The trained, professionals from Stach’s Water Systems will analzye the needs of your business, and create a custom system that is both effective and affordable. 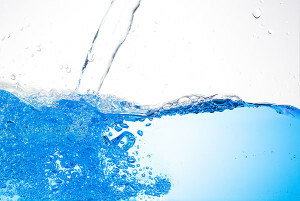 Contact us today for a no obligation analysis of your water.